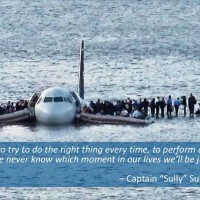 While piloting an Airbus A320 with 155 people on board, Sully encountered a flock of Canadian geese which destroyed both engines. 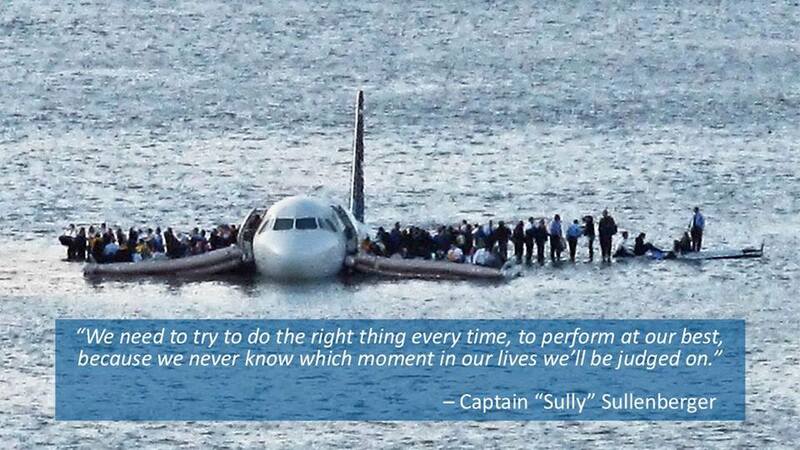 At just 2800 feet off the ground above some of the most populous real estate on earth, Sully had just seconds to find a safe place to land the plane. Instead of following the instructions of air traffic controllers, he assessed the situation and used his expert judgment to do something that he had never trained to do before. The Law of Process – leadership develops daily, not in a day.